(NaturalNews) Humans have been using medical cannabis to treat a vast array of ailments for thousands of years. Physicians in the United States used it as far back as the 1800s, at which time they were allowed to operate independently, free from government regulation. At that time, cannabis was one of their most commonly used medicines. Even the pharmaceutical industry utilized cannabis medicinally. By 1850, many pharmaceutical companies were using cannabis for a large variety of illnesses, including cholera, rabies, alcoholism, opiate addiction, typhus, leprosy, insanity, tonsillitis, excessive menstrual bleeding and many others. But once drugs like aspirin and morphine proved to be more lucrative, the demonization of cannabis soon followed. After the U.S. Food and Drugs Act was passed in 1906, access to cannabis slowly began slipping away. By 1936, nearly all U.S. states had enacted laws restricting cannabis, some of which are still in effect today. While a new and more accepting attitude surrounds the use of the plant today, the federal government continues to ignore its medicinal benefits. This is despite mounds of research showing that the plant is useful for humans in combating cancer, reducing and/or eliminating seizures, managing pain and inflammation, and treating neurodegenerative disorders such as Parkinson's disease and Alzheimer's. In early August, the Drug Enforcement Agency (DEA) rejected attempts made by two Democratic governors to ease restrictions on marijuana. The agency stood firm on its current classification for the plant, keeping it as a schedule I drug. Schedule I drugs include substances or chemicals considered to have no "currently accepted medical use," and "a high potential for abuse," according to the DEA. Other drugs in this category include heroin, LSD, ecstasy and peyote. Even cocaine and opium, Schedule II drugs, have a lower classification than marijuana. Now, the feds are going after kratom, a plant used for treating pain. On August 30, the DEA announced that it wants to classify the plant as a Schedule I substance. "The Drug Enforcement Administration (DEA) today announced its intention to place the active materials in the kratom plant into Schedule I of the Controlled Substances Act in order to avoid an imminent hazard to public safety. "Kratom is abused for its ability to produce opioid-like effects and is often marketed as a legal alternative to controlled substances. "In addition, kratom has a high potential for abuse, has no currently accepted medical use in treatment in the United States, and has a lack of accepted safety for use under medical supervision. DEA is aware of 15 kratom-related deaths between 2014 and 2016." The problem with the agency's statement is that 15 deaths are hardly comparable to the hundreds of thousands of deaths caused by prescription drugs, which are in fact also addictive. Since January 1, 2000, prescription drugs have killed roughly 381,000 people in the United States, and opioids alone are responsible for the death of 271,617 people. Antidepressant overdoses have killed 65,000, while anti-psychotic and neuroleptic drugs have led to the deaths of 22,600. 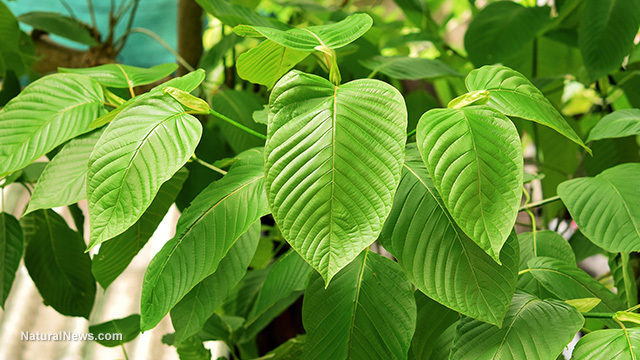 "[T]he DEA's claim that deaths have been linked to the plant is dubious: Most deaths associated with kratom have occurred in people who reportedly tested positive for numerous substances or were suffering from pre-existing medical conditions. Users report that consuming too much kratom will only lead to nausea and vomiting, which can prevent overdose," reports The Daily Sheeple. "The DEA's claim that it intends to ban on kratom to 'avoid an imminent hazard to public safety' is odd, considering the plant is not widely used as a recreational drug: It is mainly used by people who are trying to manage pain, alleviate depression, and overcome opioid addiction." "Kratom is a natural botanical native to tropical Southeast Asia that is part of the coffee family. It's also known by its scientific name, Mitragyna speciosa. The people of Southeast Asia have used Kratom leaves as an herbal supplement and traditional remedy for hundreds of years," according to the website of the American Kratom Association. "The plant is a natural analgesic which is used to safely alleviate pain, combat fatigue, and help with the effects of anxiety and depression."